Would you like to host your Brazilian friends and give them a tour of the house in Portuguese? With these flashcards you can do so. 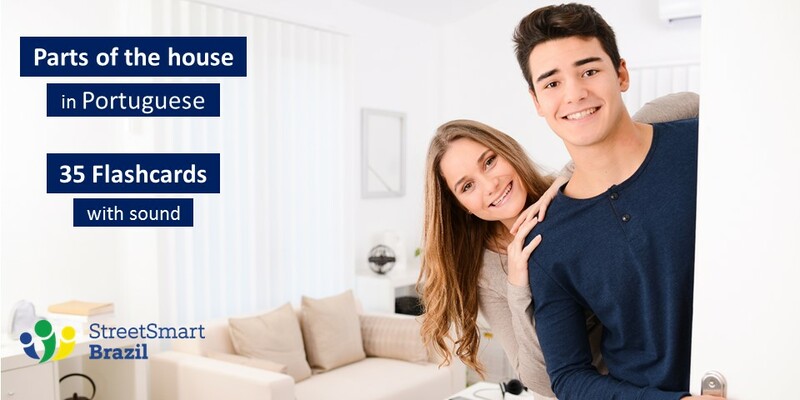 In this lesson you will find 35 flashcards to learn the parts of the house in Portuguese. The cards have sound so that you can learn how to pronounce each word. But before you invite your guests, I want to give you a tip on Brazilian social etiquette. 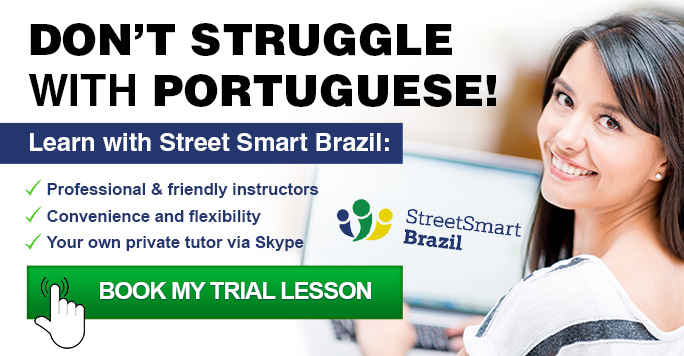 When I first started Street Smart Brazil I also taught at my clients’ place. I remember a funny situation many years ago when I was leaving my client Sarah’s home after the first visit. We had one of those funny and awkward moments caused by cultural differences. It was the first visit, so there was a certain level of formality between us. I was about to leave after our lesson, and for a moment we both stood awkwardly by the door. I was waiting for Sarah to open the door for me. She was waiting for me to leave. It happens that in Brazil you open the door for your guests when they are leaving your place. It can even be considered impolite to let your guests let themselves out. There is also a superstition that not opening the door will cause those guests to never come back to visit you. I stopped by the door by instinct. I wasn’t thinking about cultural practices or superstitions. It was just a habit to wait for the host to open the door. Sarah and I had a good laugh afterwards when we realized what had happened. Now to the house tour!